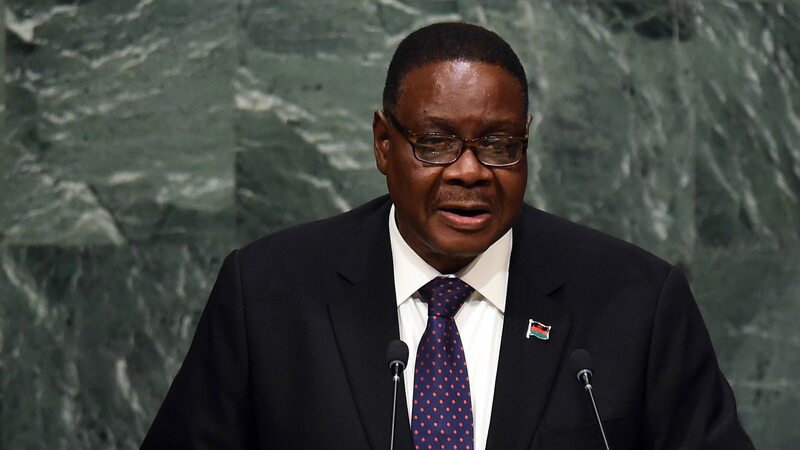 Malawi’s President Peter Muntharika will on Thursday this week leave for republic of South Africa where he is expected to attend the 2018 BRICS Summit of Heads of State and Government. The Presidential Public Programme signed by Chief Secretary to the Government, Lloyd Muhara indicates that the president will depart through Kamuzu International Airport on Thursday, 26th July 2018 at exactly 2 o’clock in the afternoon. BRICS summit is an international relations conference attended by the heads of state or heads of government of the five member states Brazil, Russia, India, China and South Africa. This is the tenth BRICS Summit since it started and its theme is “BRICS in Africa”. The issues before the 10th BRICS Summit broadly include: multilateralism, global governance, health and vaccines, socio-economic empowerment of women, peacekeeping, network of science, parks and technology, inclusive growth, sustainable development, infrastructure and etc. This year, Malawi has been invited to the Summit which will run for three days in Johannesburg from 25th to 27 July. Other invited countries include Rwanda, Uganda, Togo, Zambia, Namibia, Senegal, Gabon, Ethiopia, Angola, and the African Union Chair.